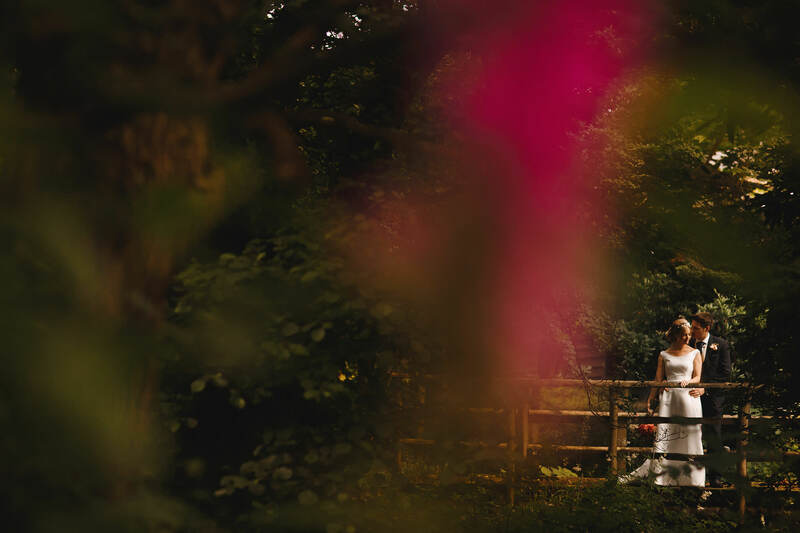 I made the long drive down to South Wales and the stupendous Llangoed Hall for Jess and Iain’s wedding. 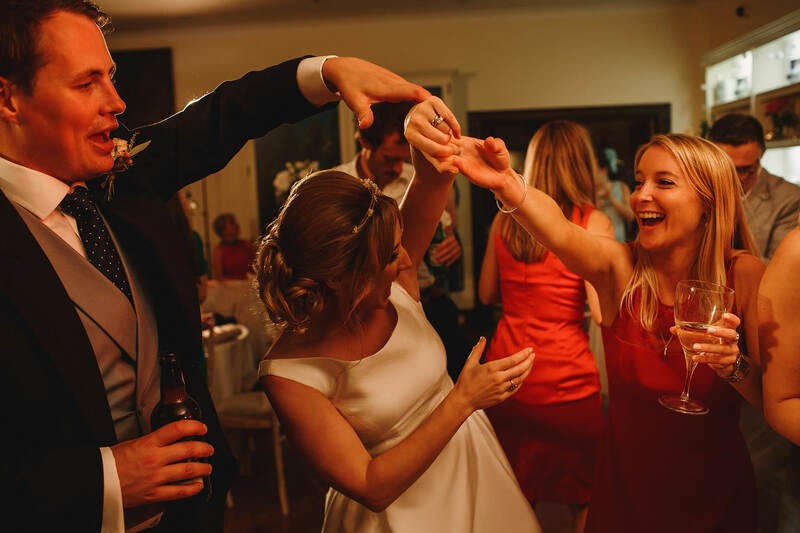 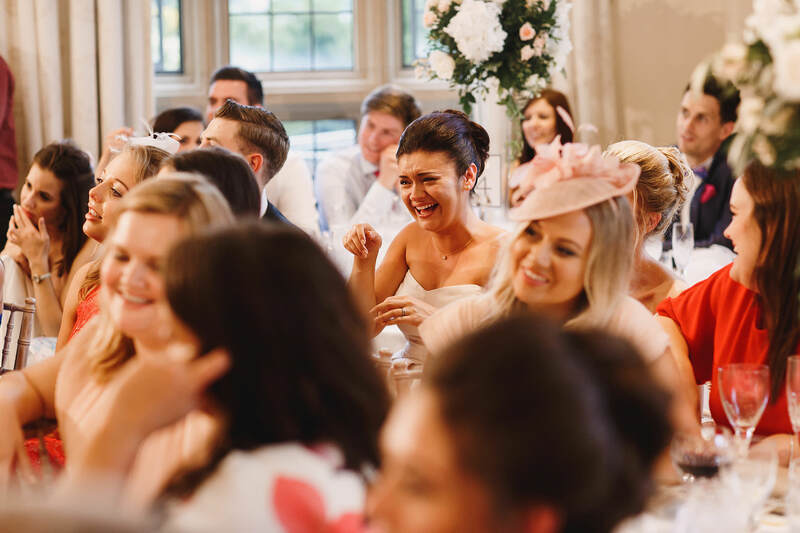 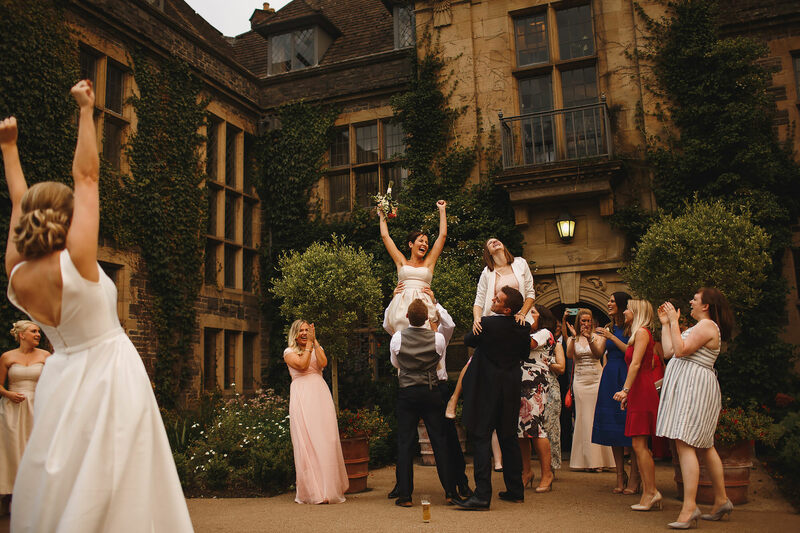 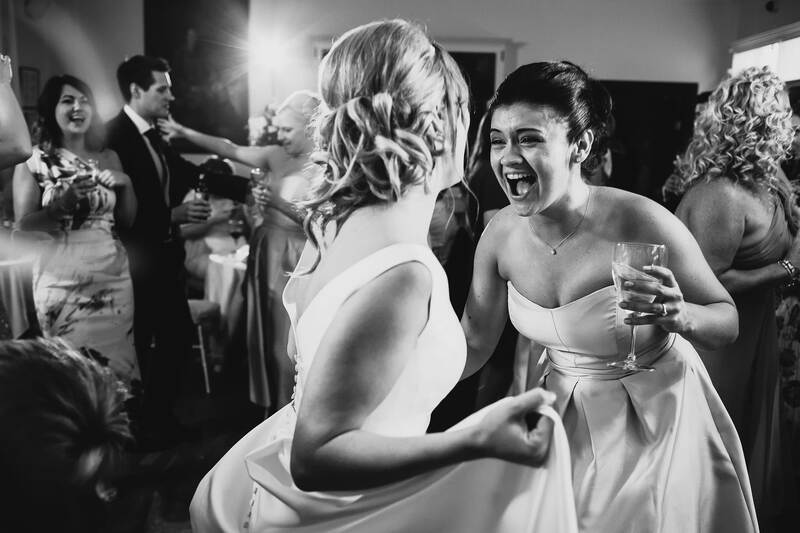 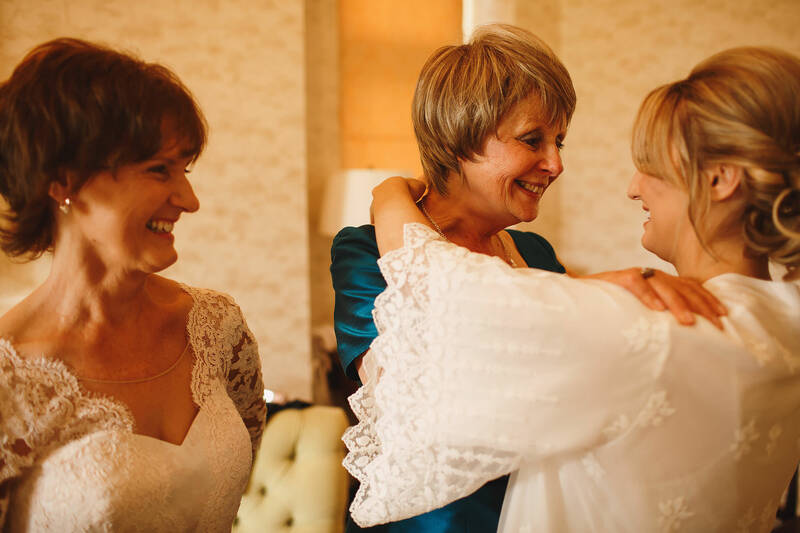 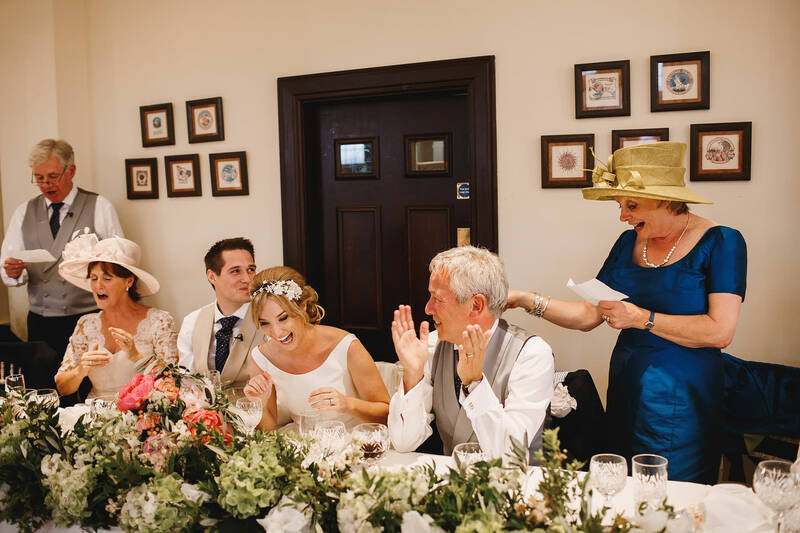 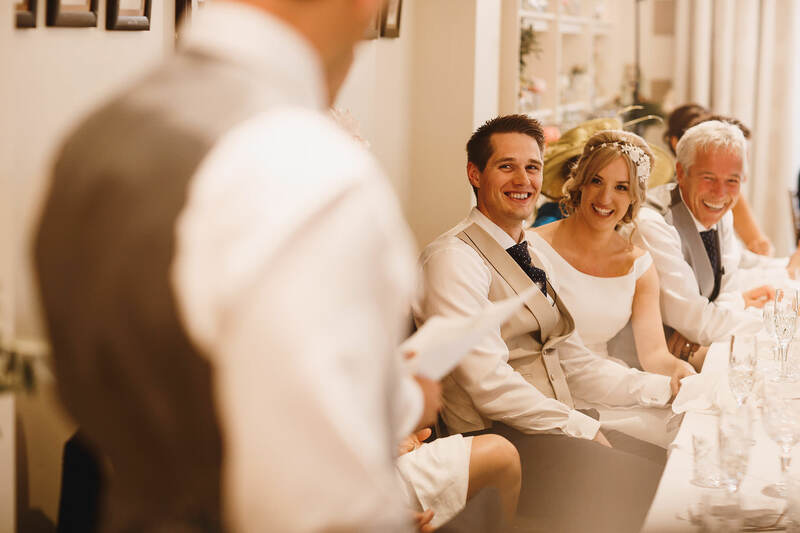 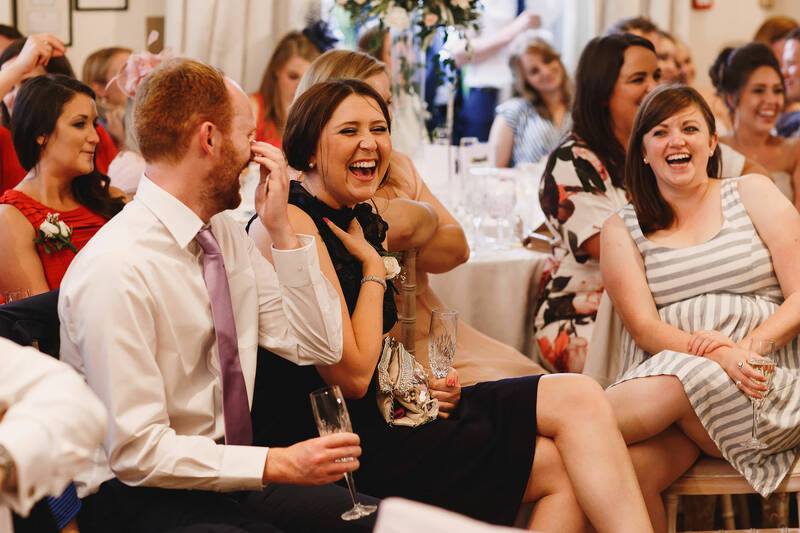 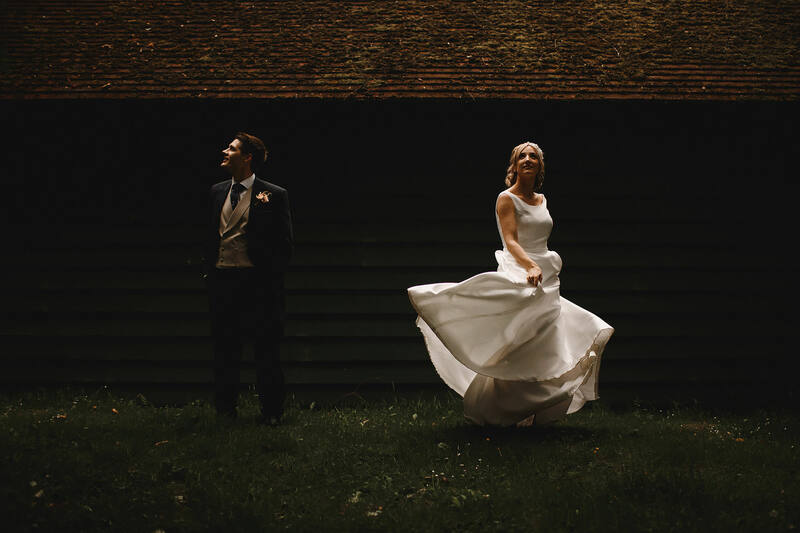 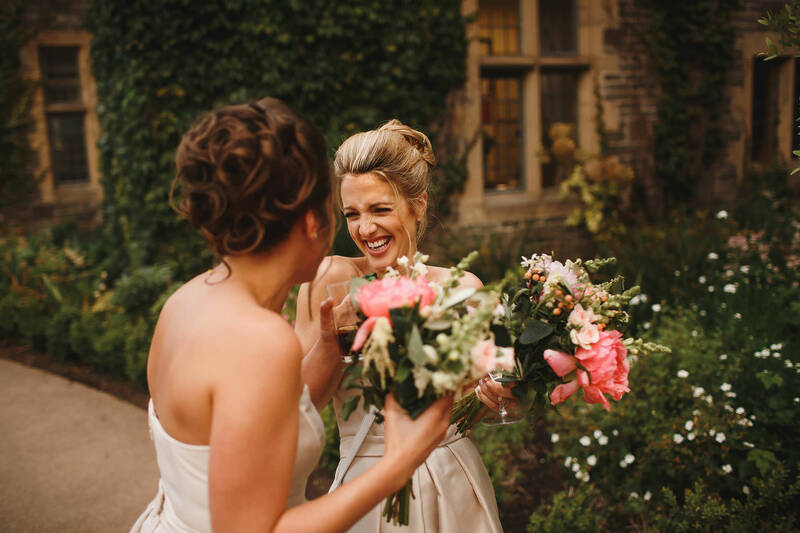 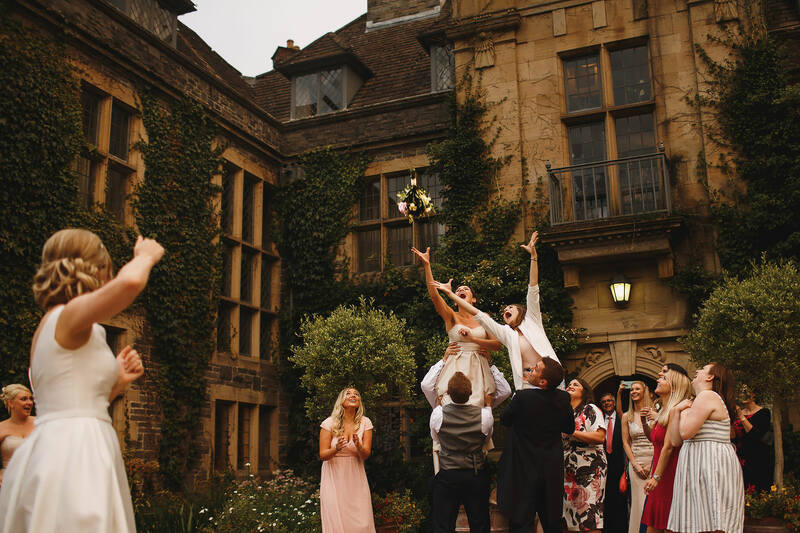 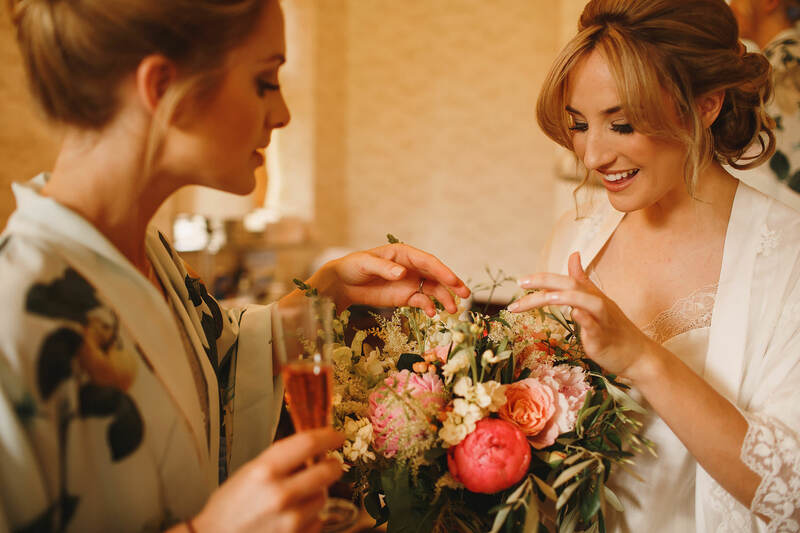 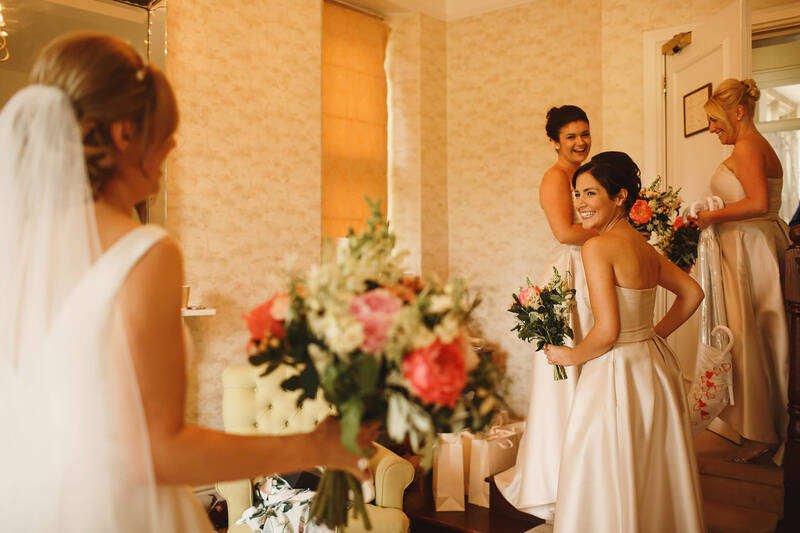 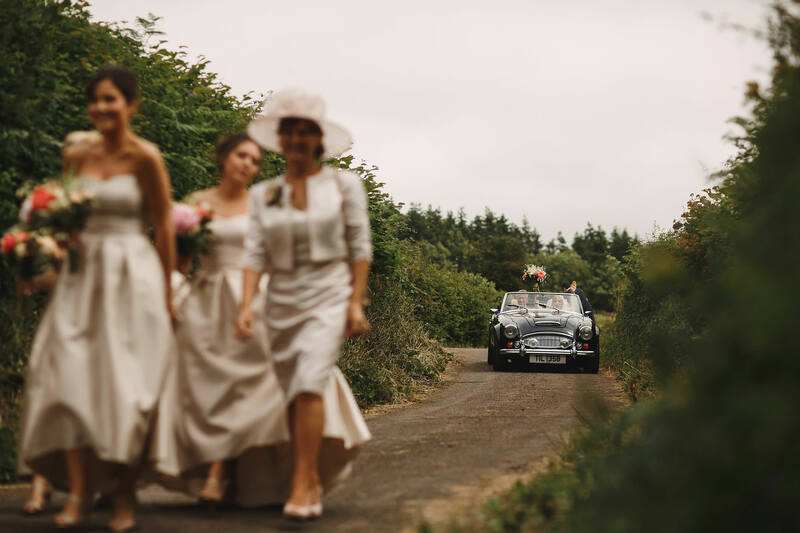 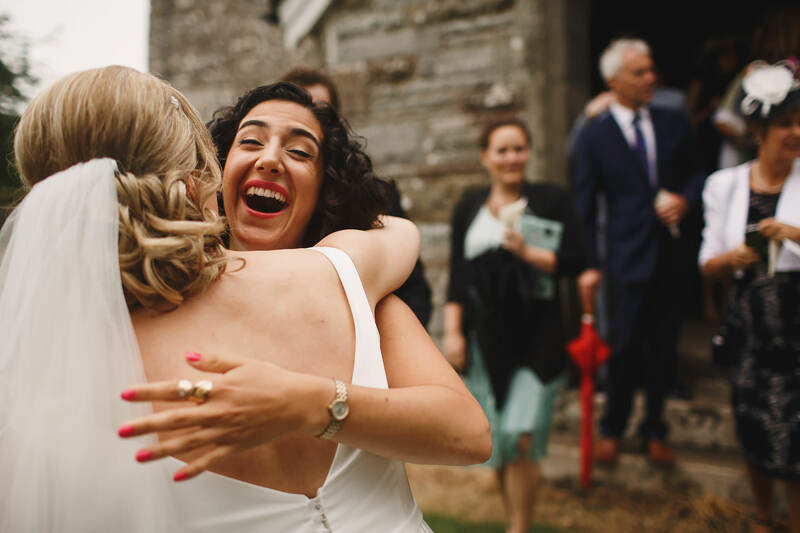 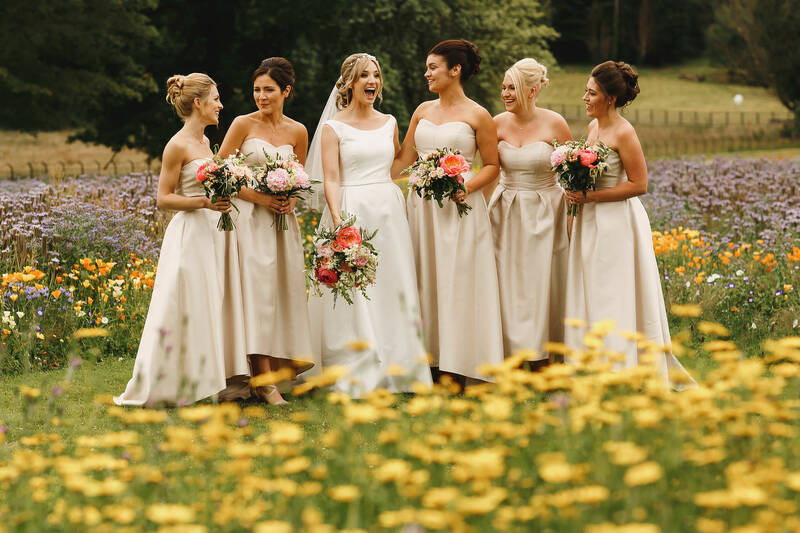 And within seconds of arriving I felt like I was right at home – a big hug from Jess and plenty of banter and laughs from the bridesmaids and I knew it was going to be an incredible day! 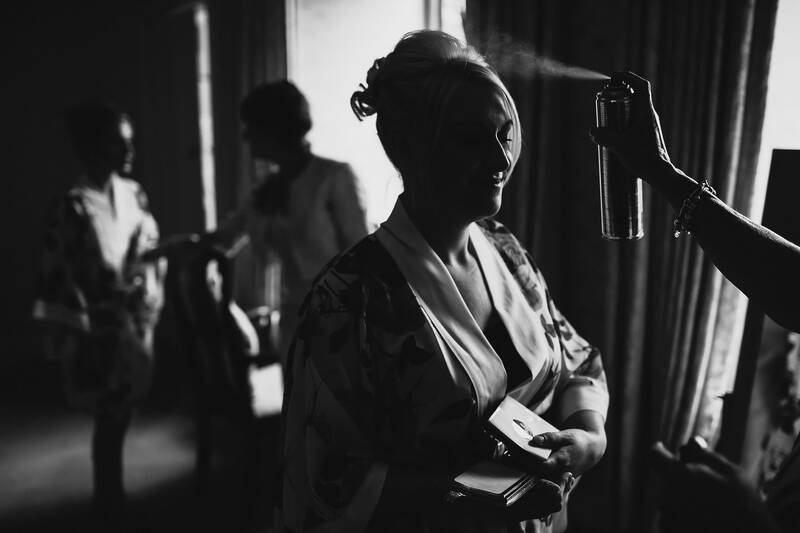 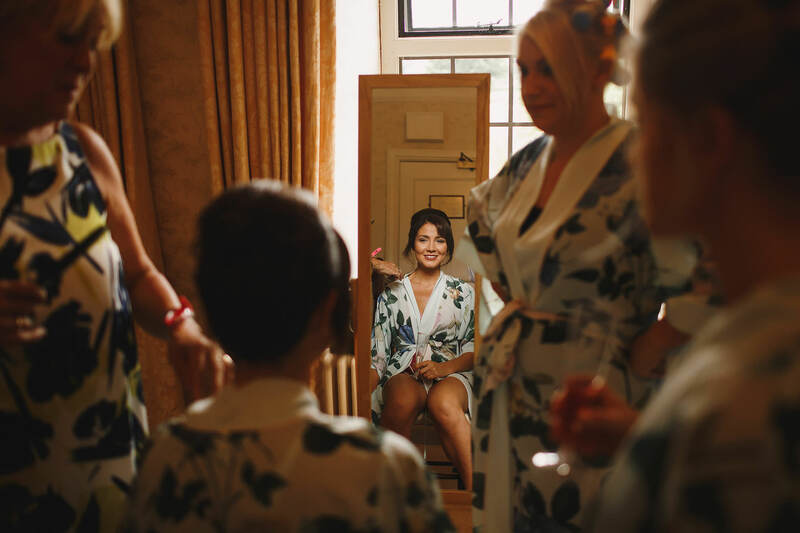 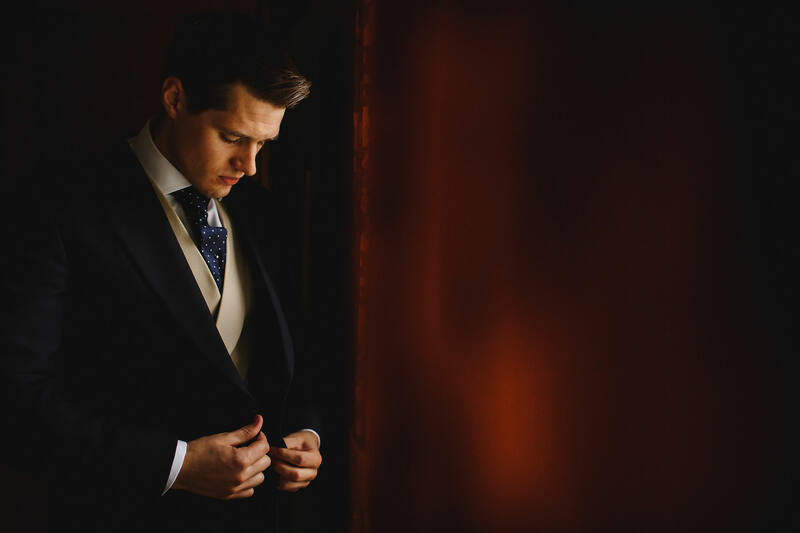 Jess and Iain both got ready at Llangoed Hall so I was zipping between their two rooms to capture them getting ready. 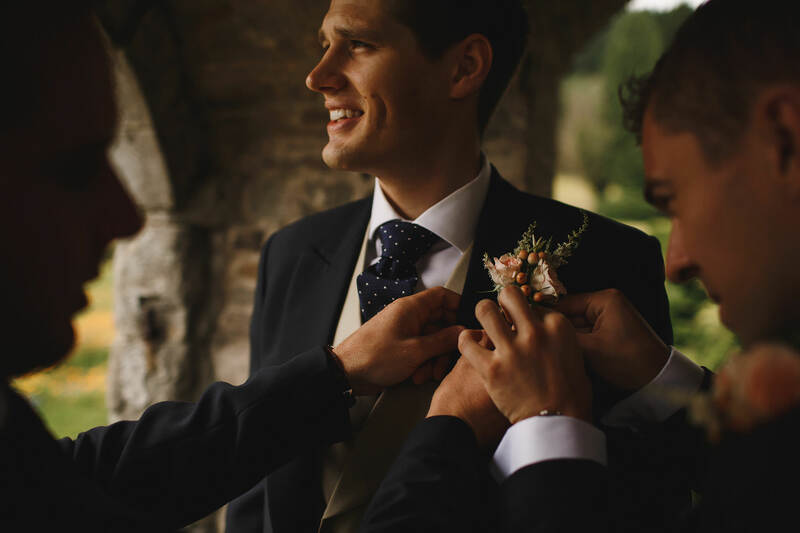 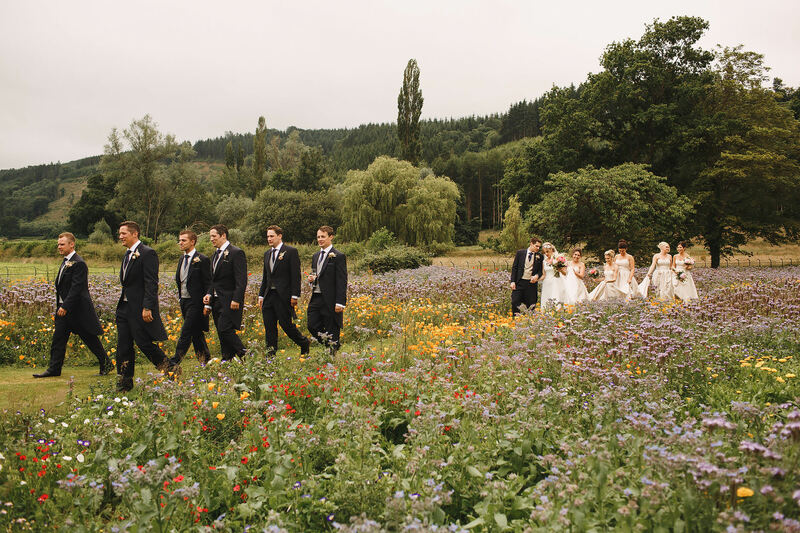 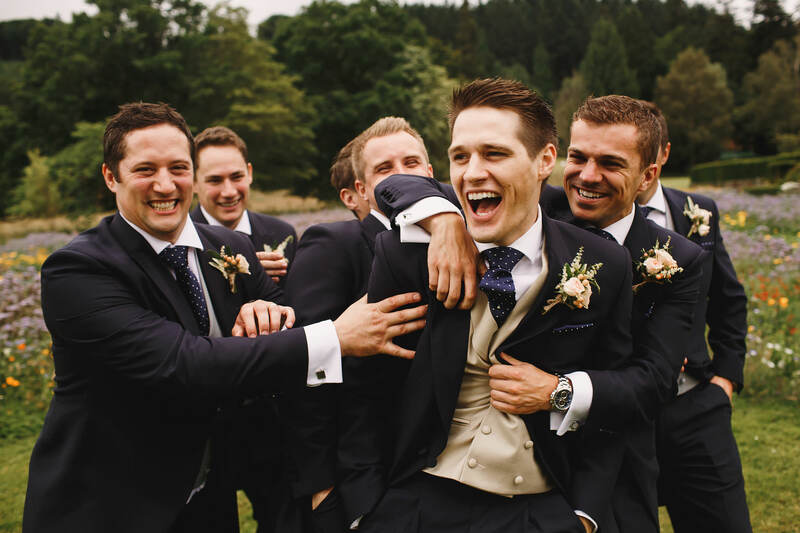 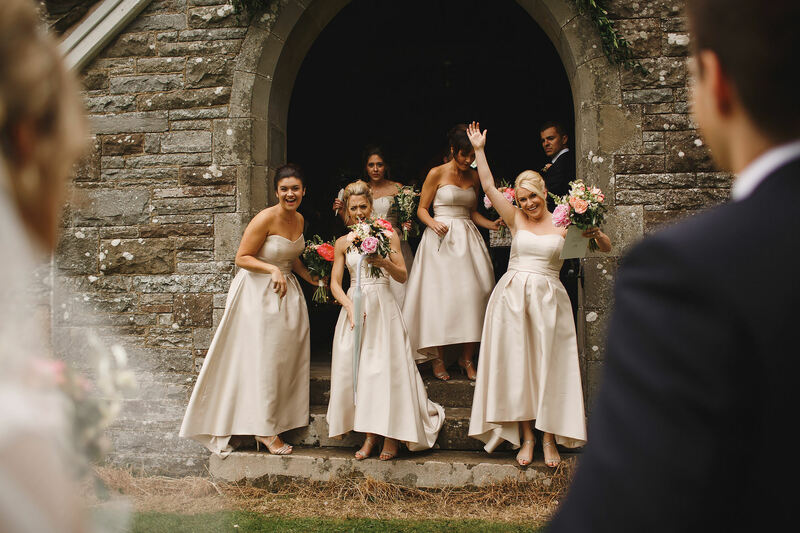 The banter level was just as high in the boys room, but they soon headed downstairs to put on some buttonholes and calm the nerves before heading over to the picturesque Llanstephan church with amazing views across to the Black Mountains. 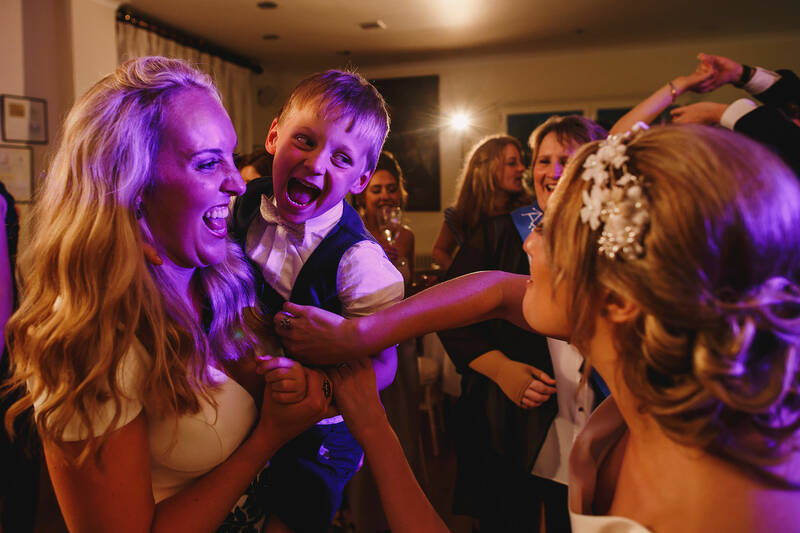 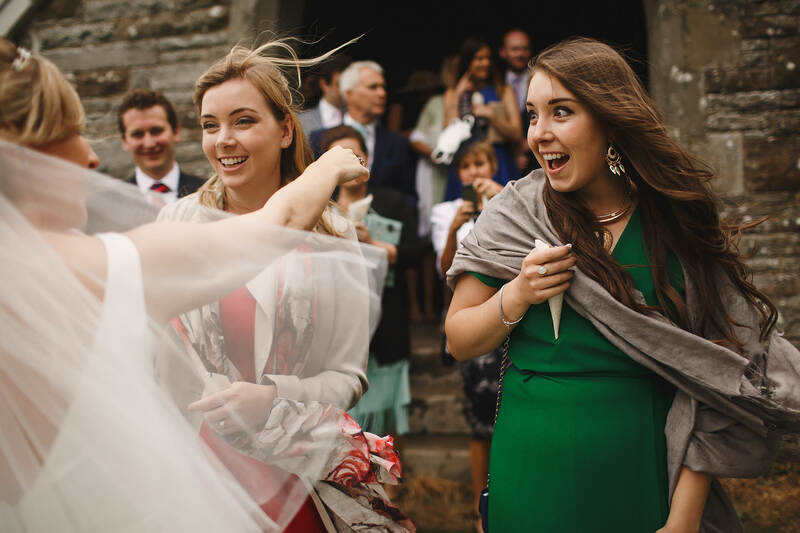 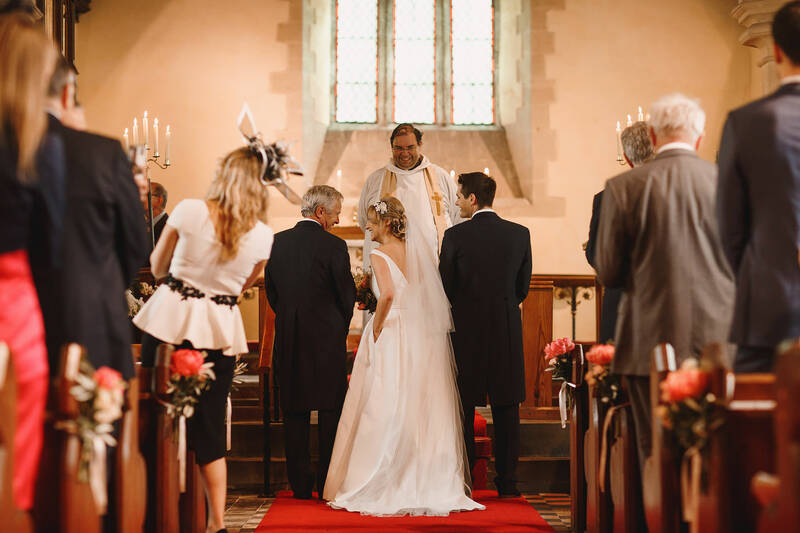 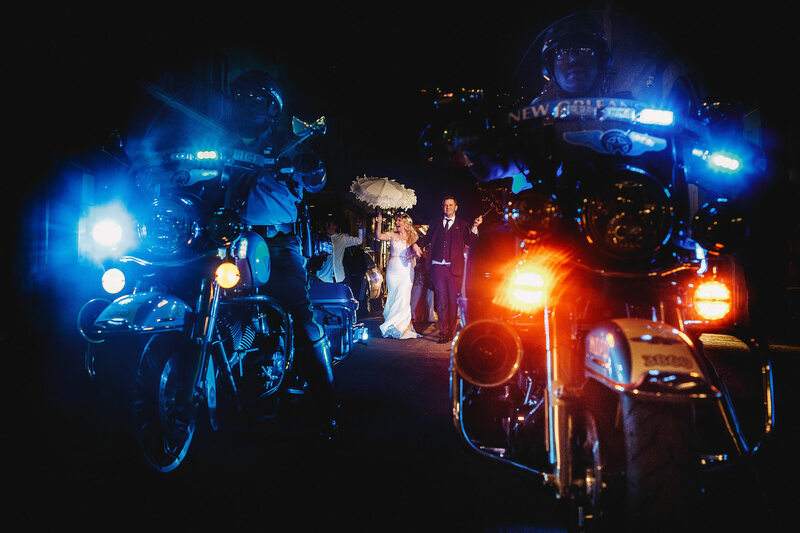 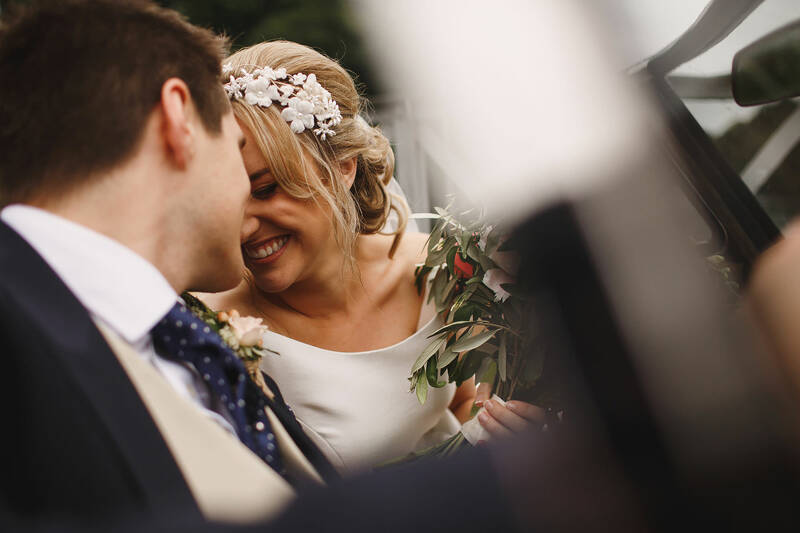 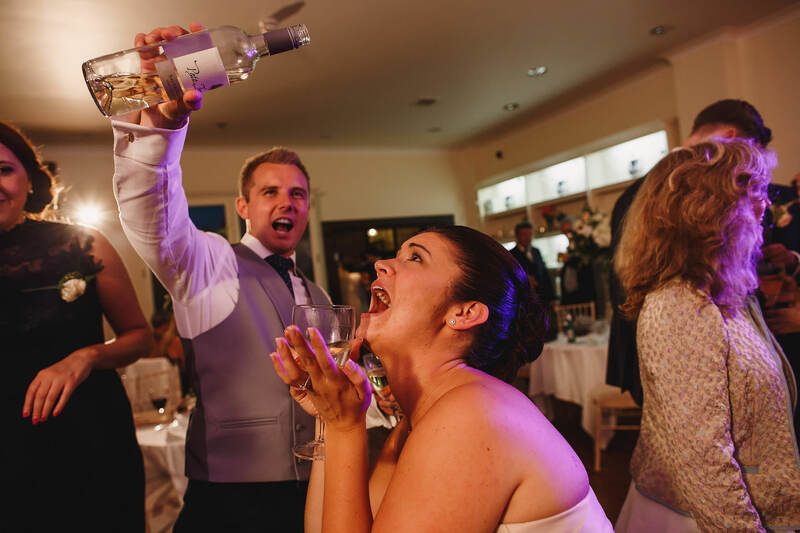 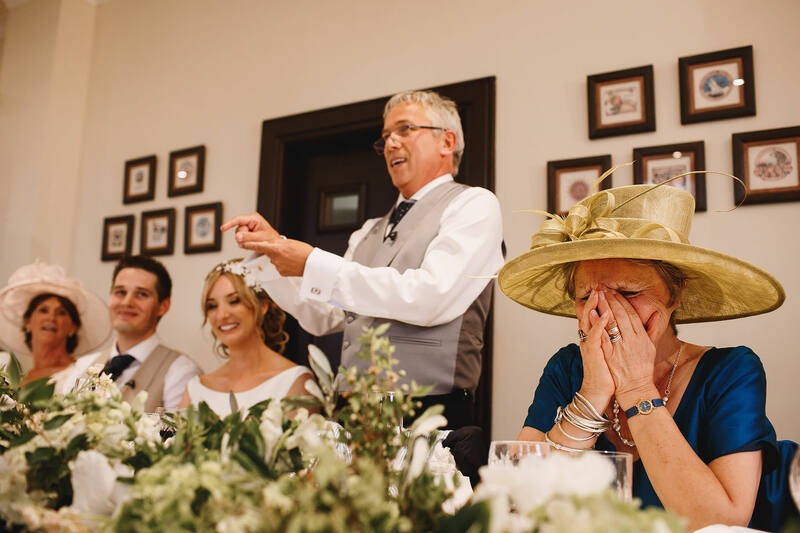 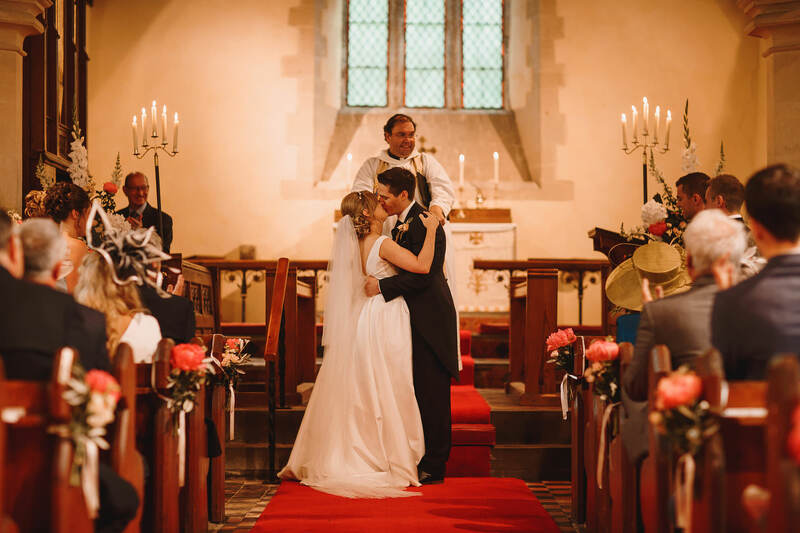 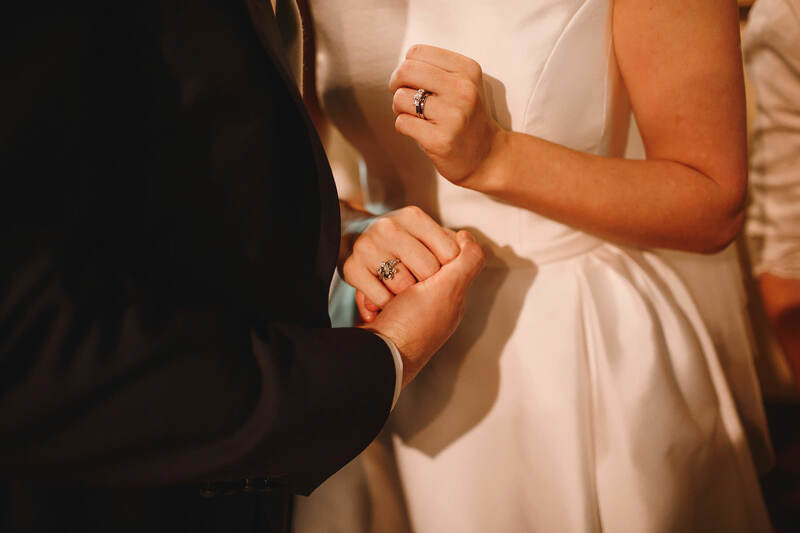 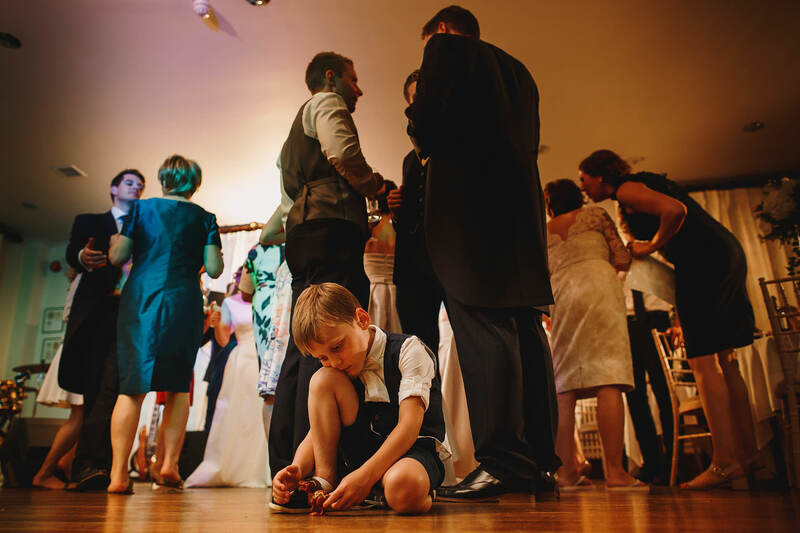 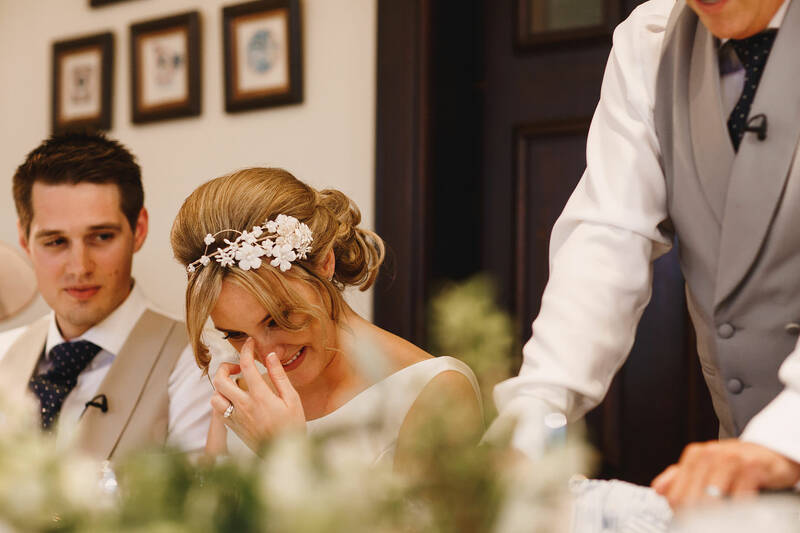 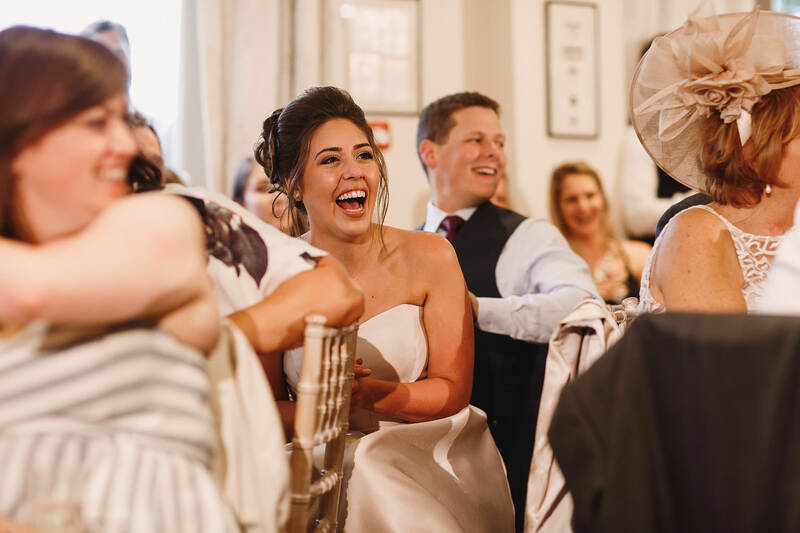 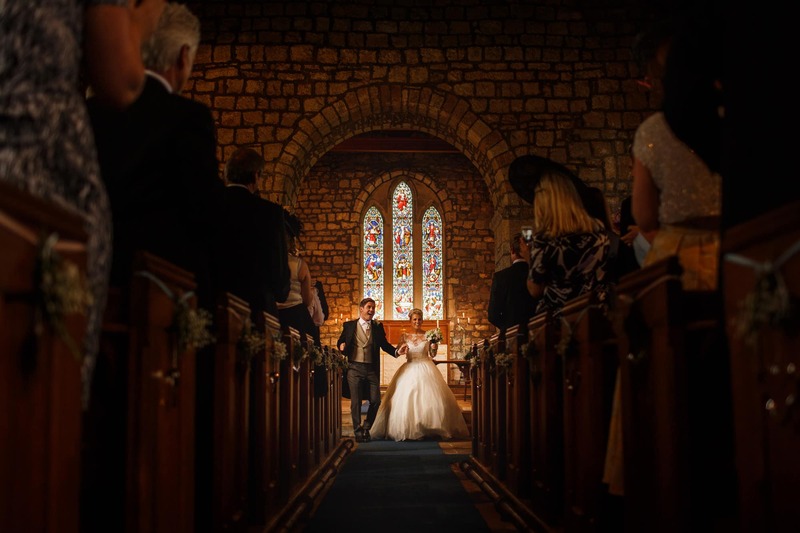 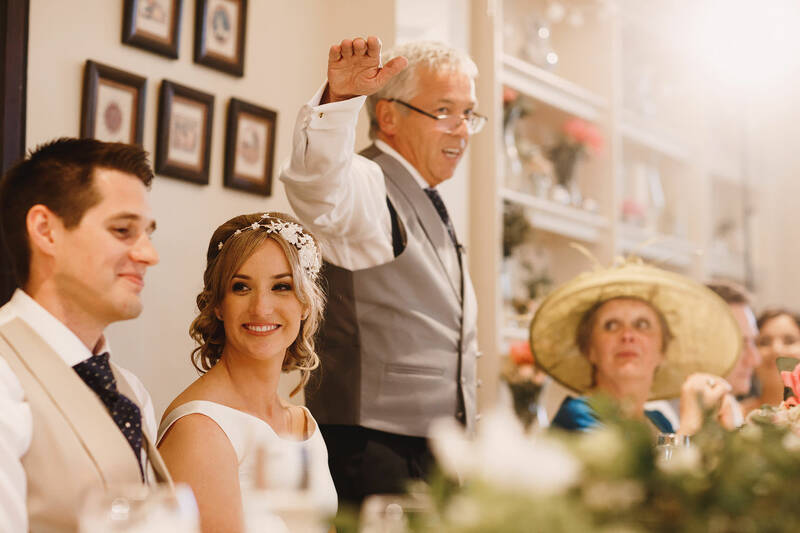 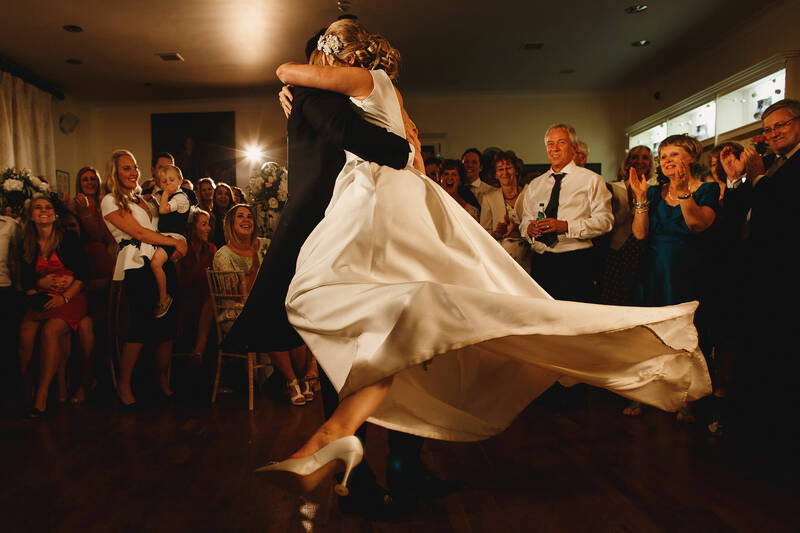 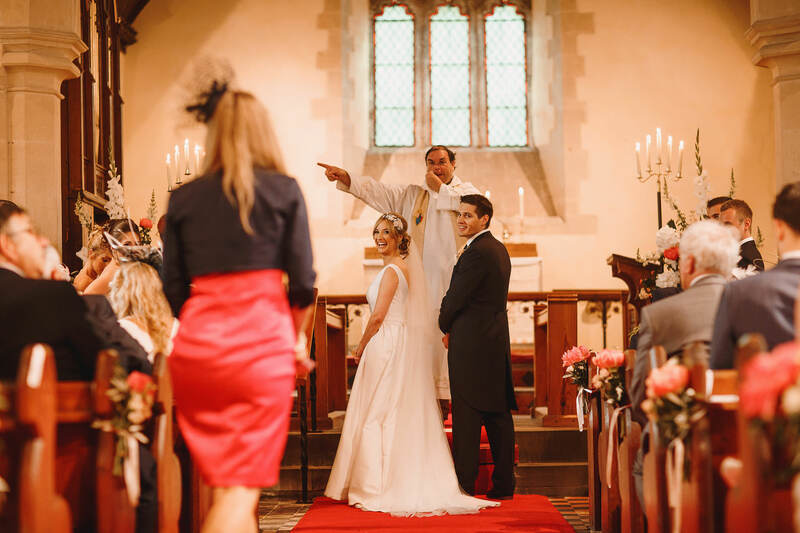 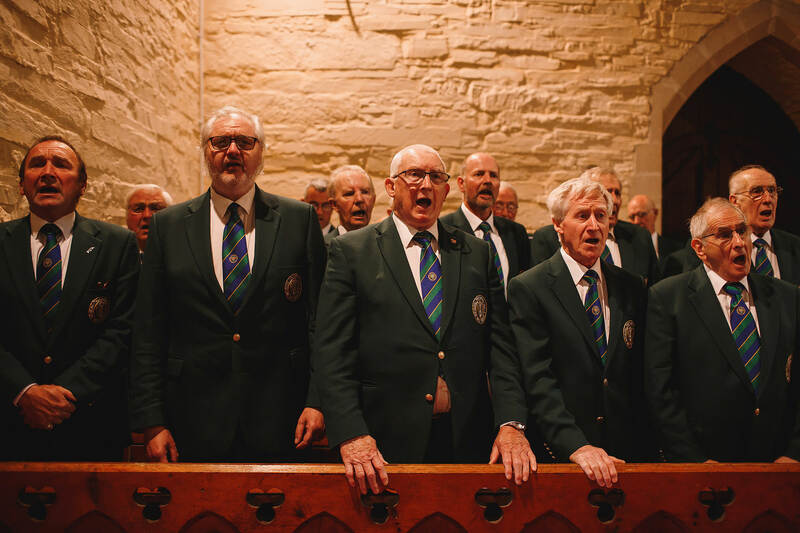 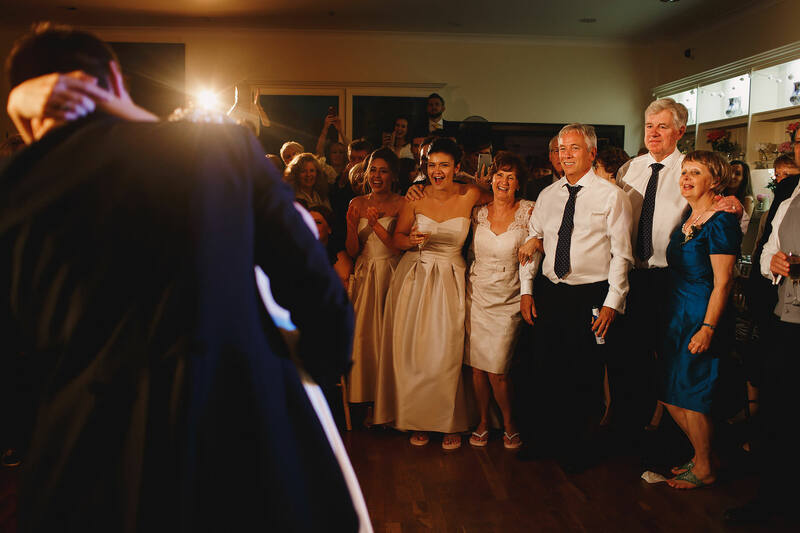 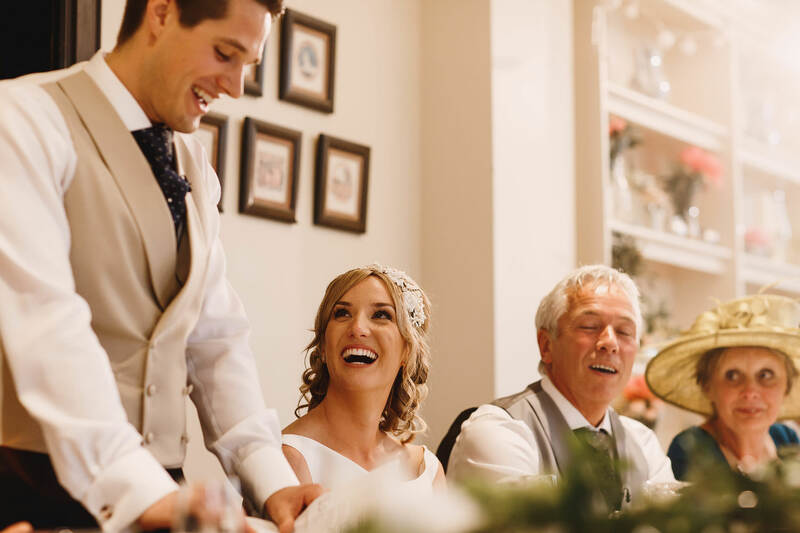 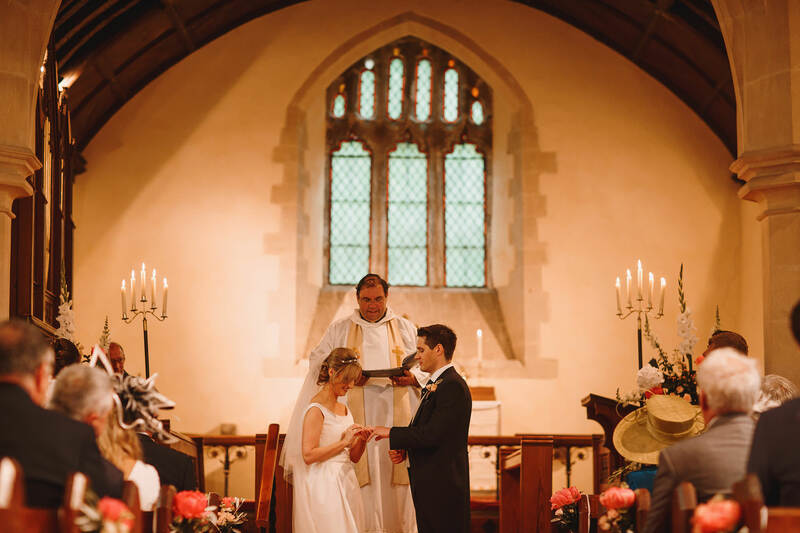 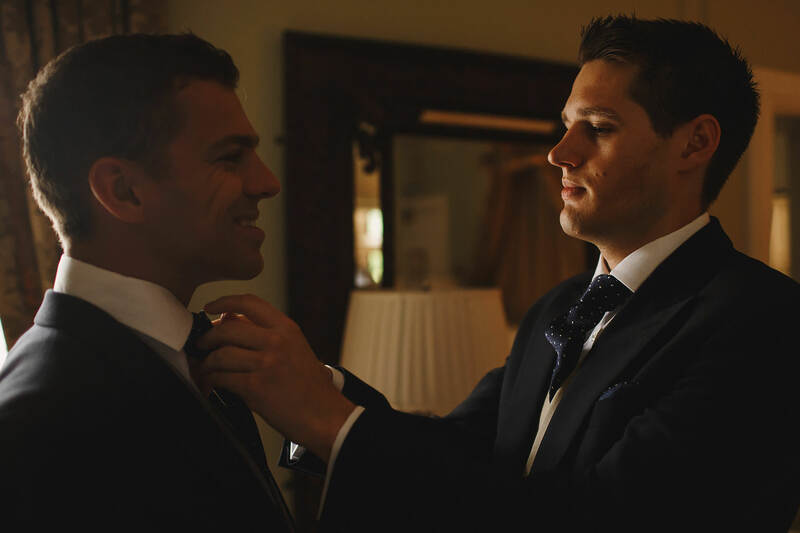 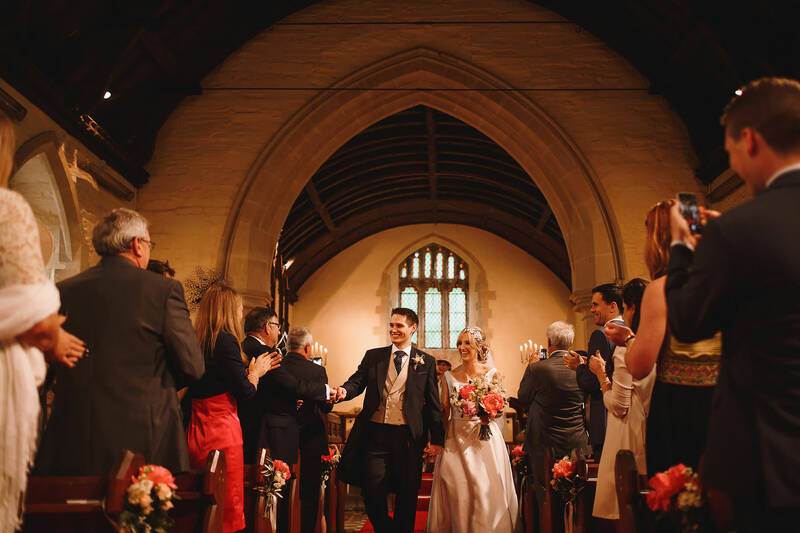 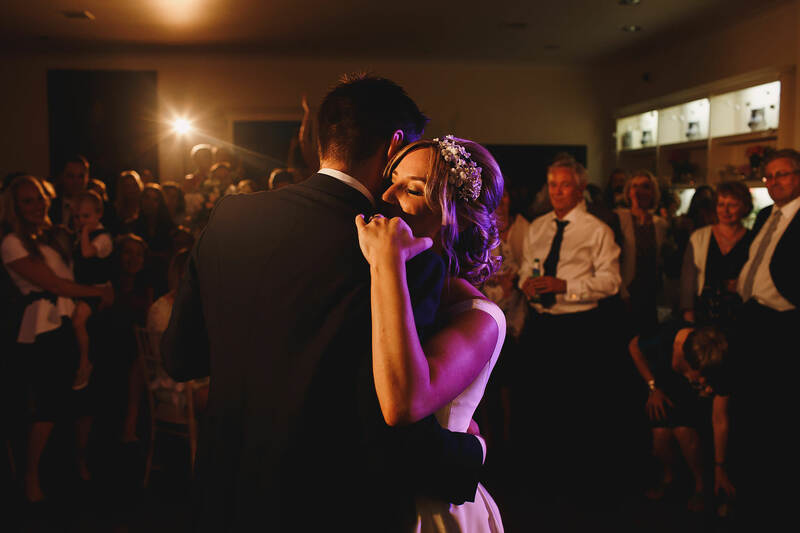 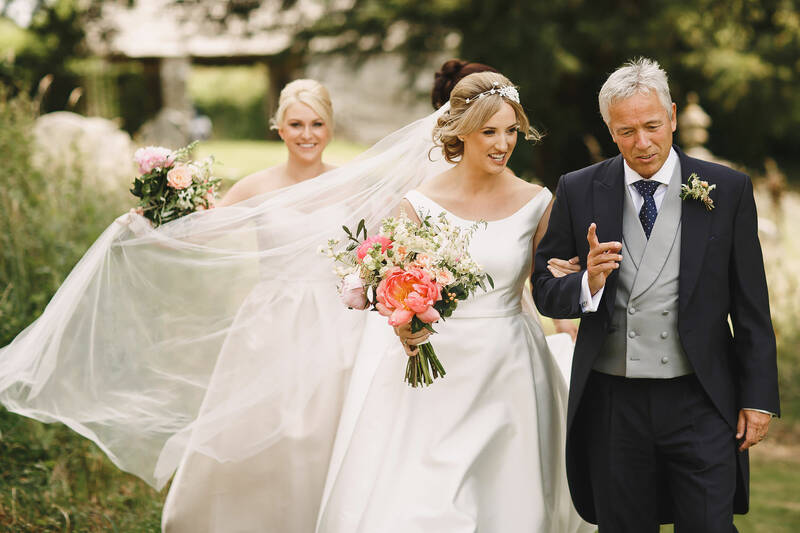 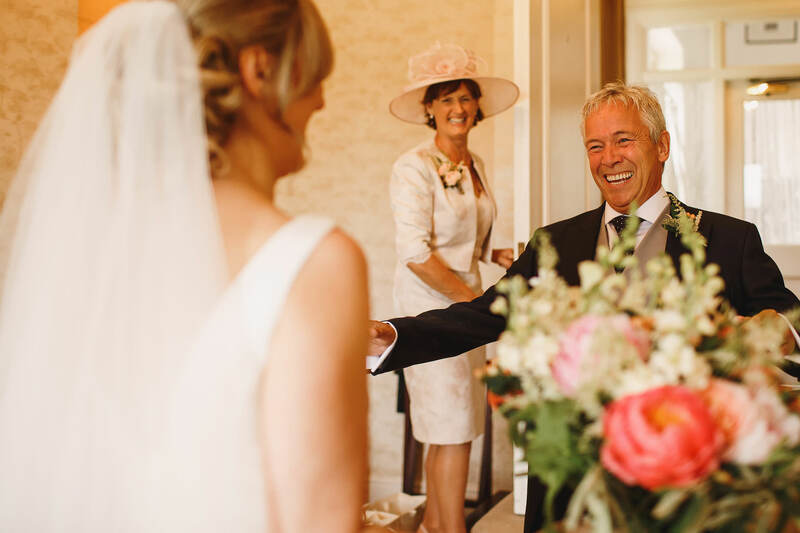 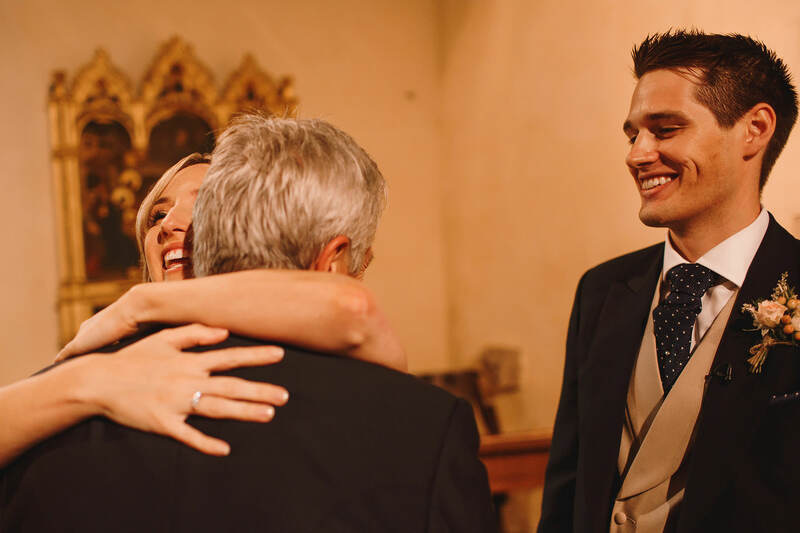 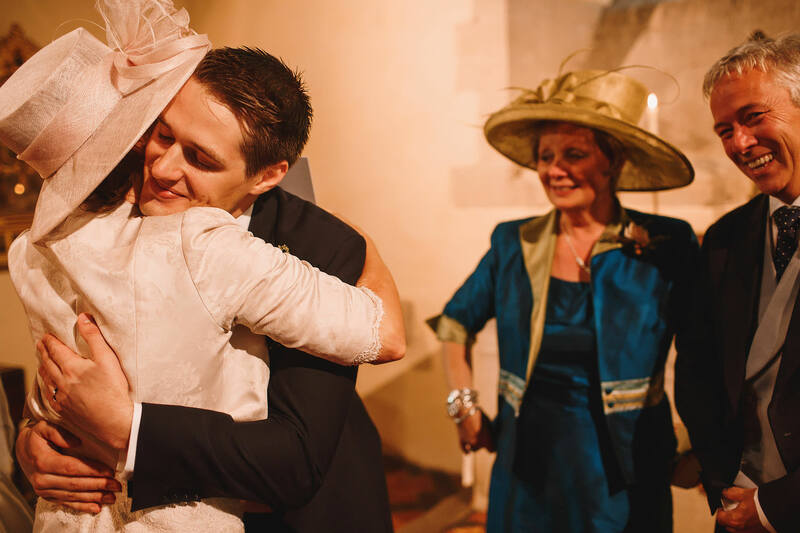 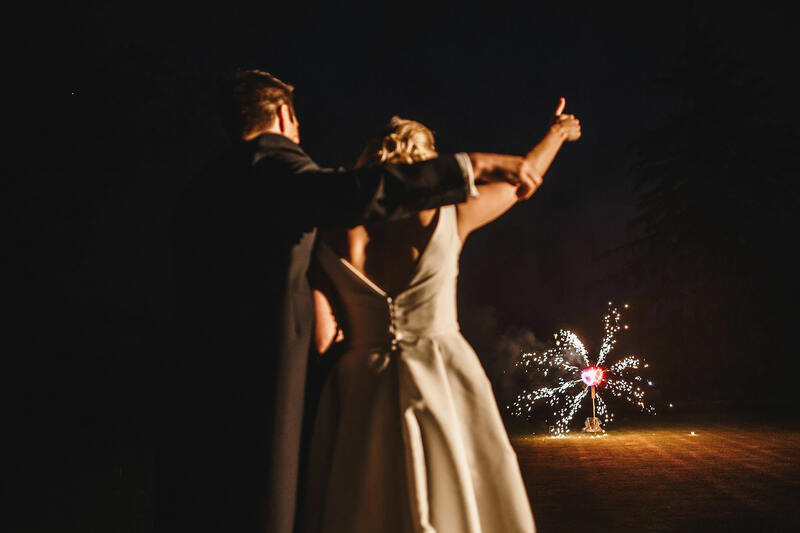 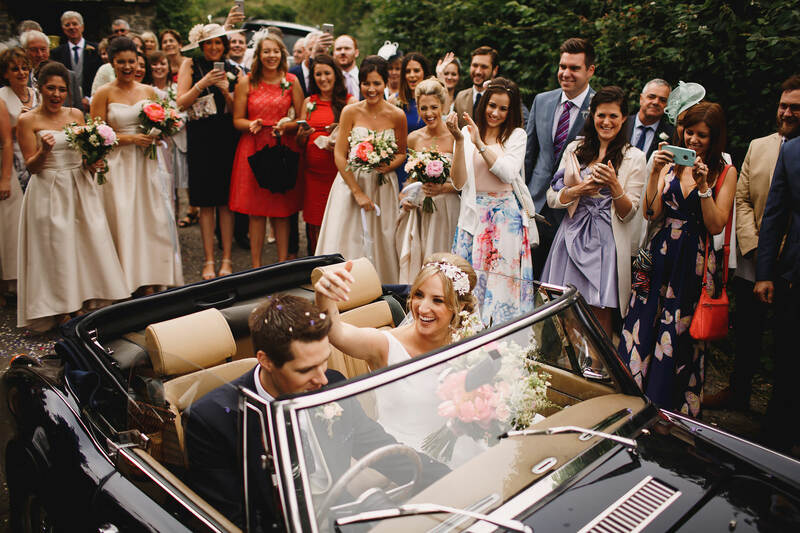 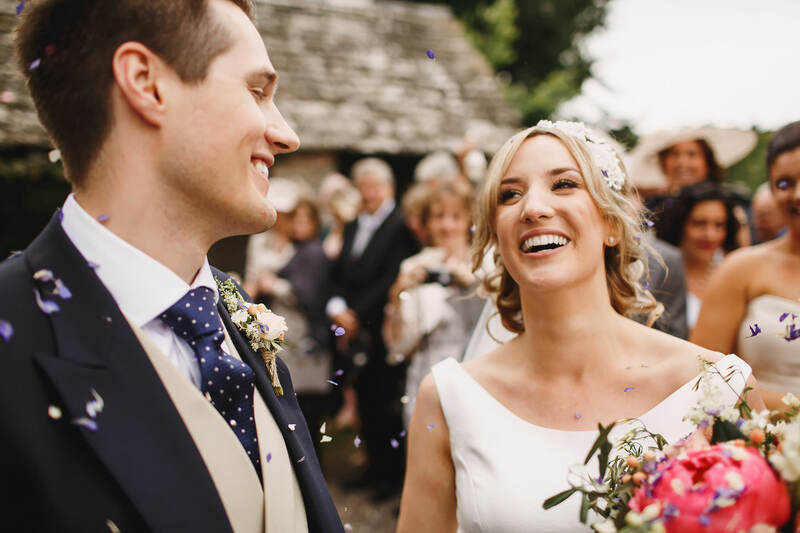 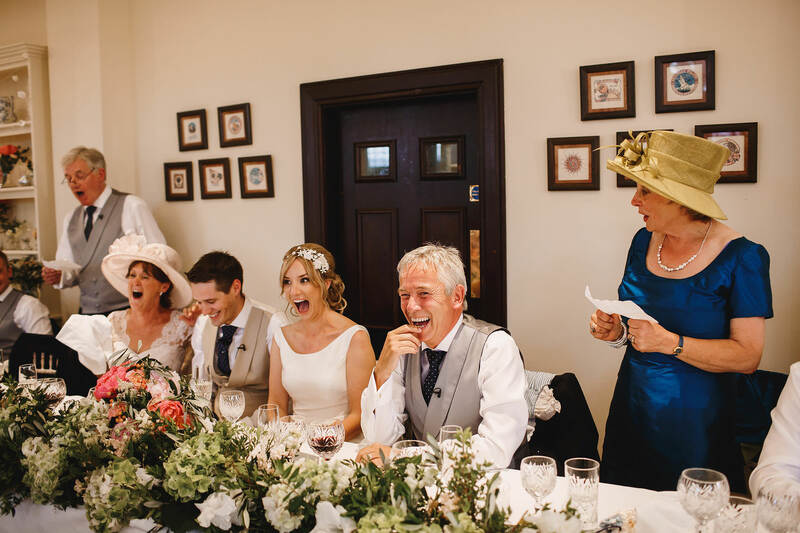 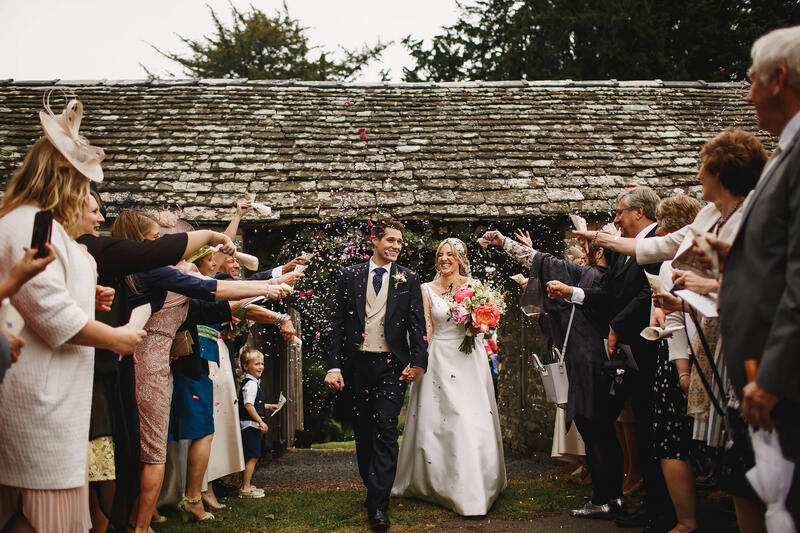 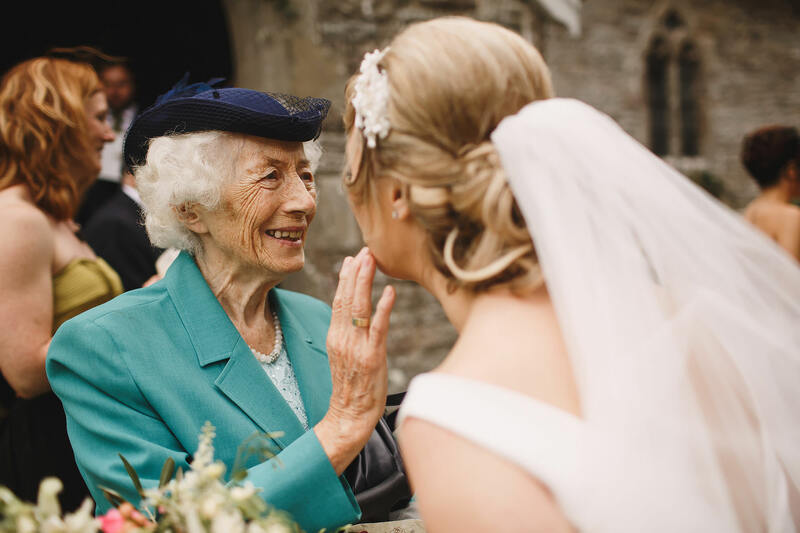 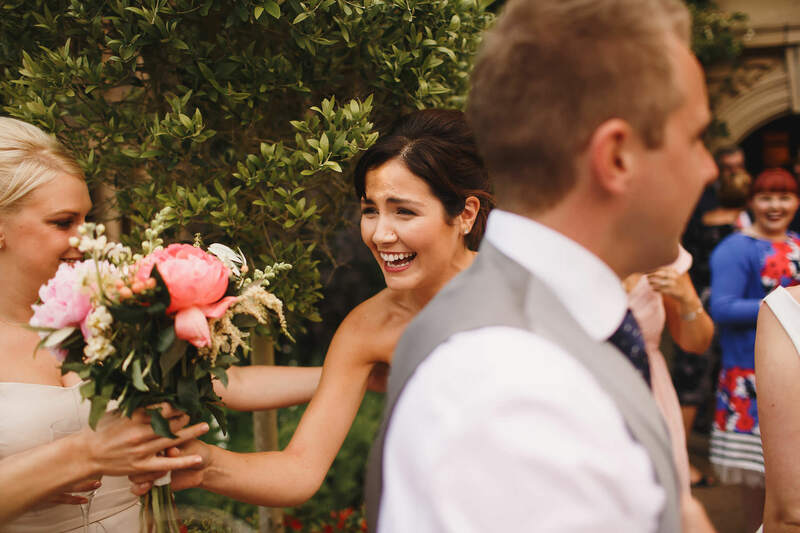 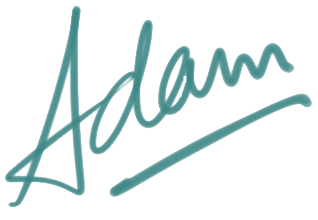 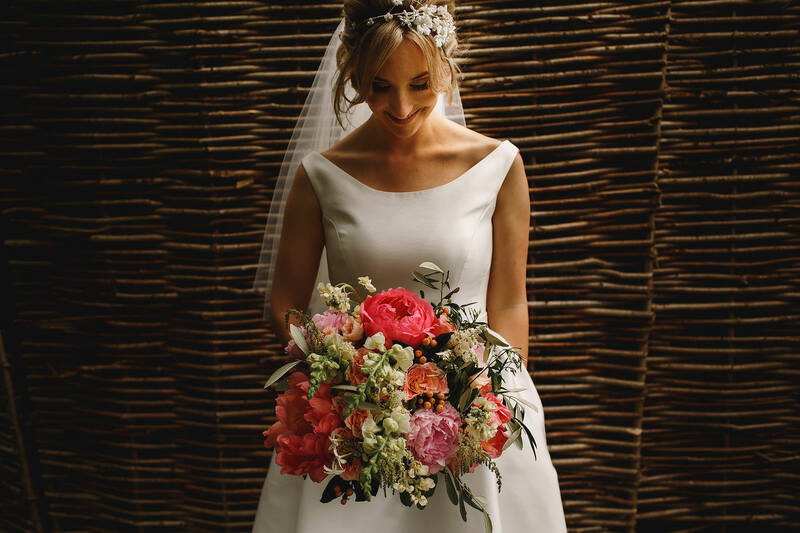 Inside they were greeted by an incredible Welsh male voice choir and an acoustic duo who played Gavin James – The Book of Love as Jess and her dad entered the church, a total surprise for Iain! 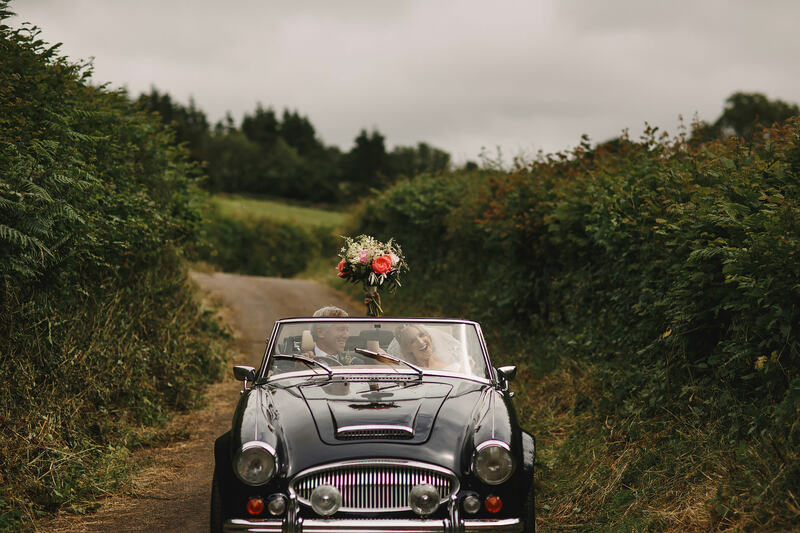 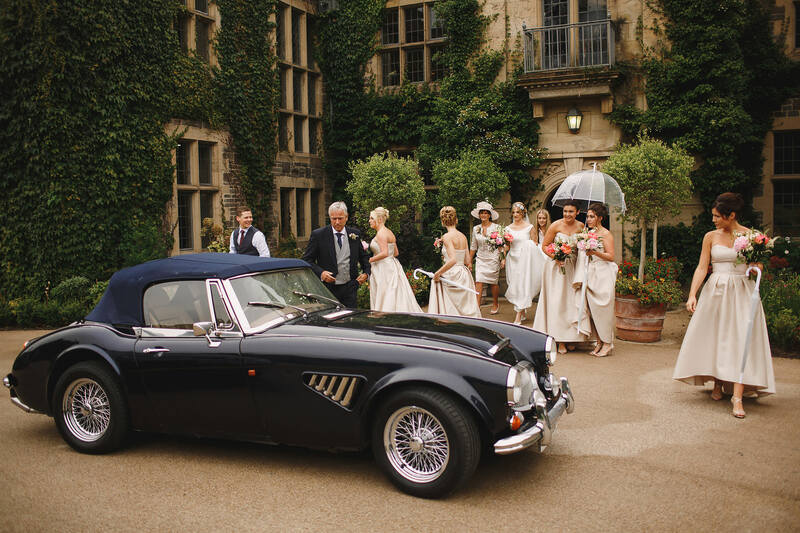 After coming out of church to a flurry of hugs and kisses and confetti, they drove off together in their Austin Healey! 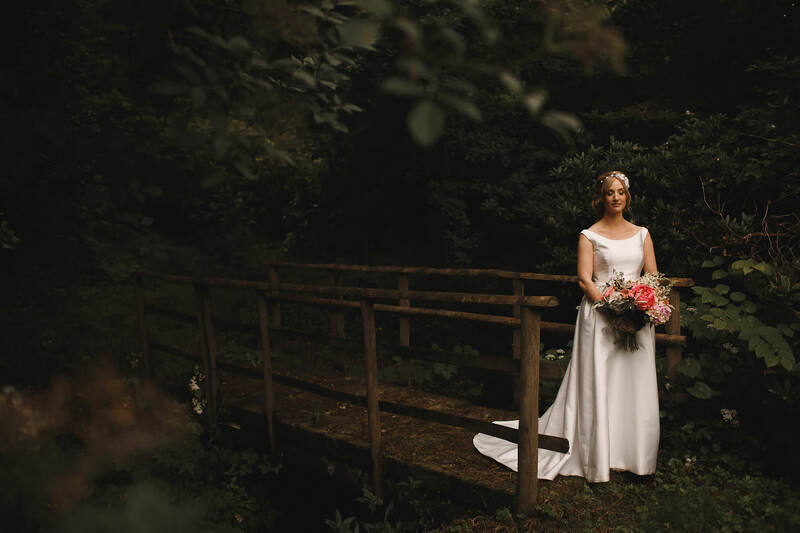 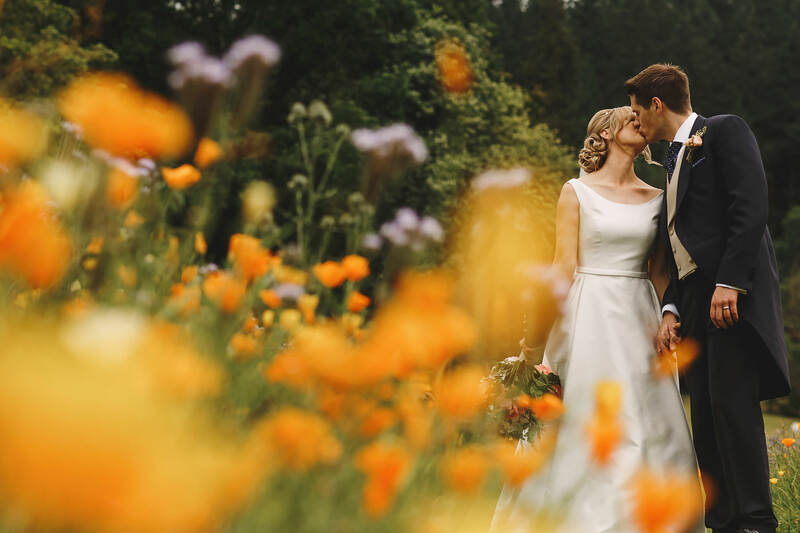 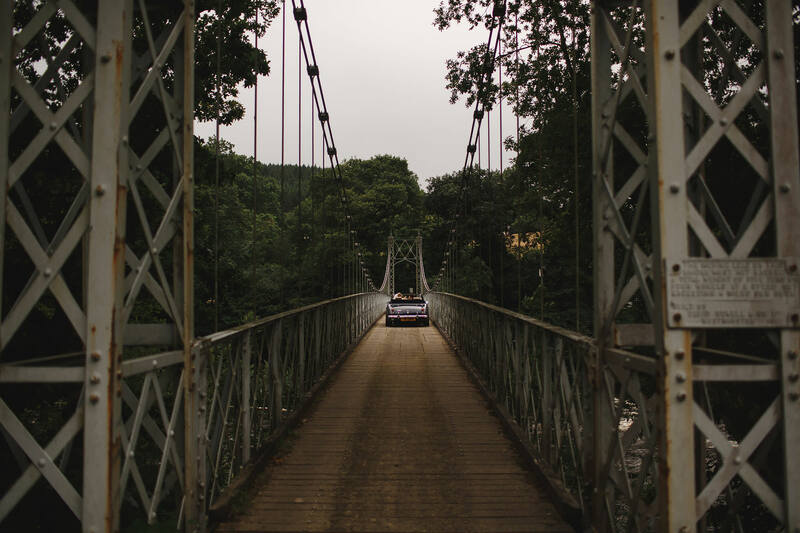 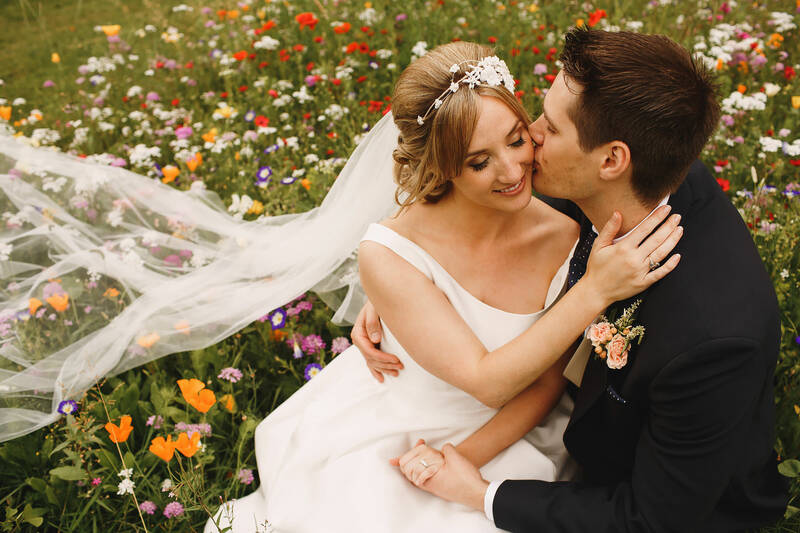 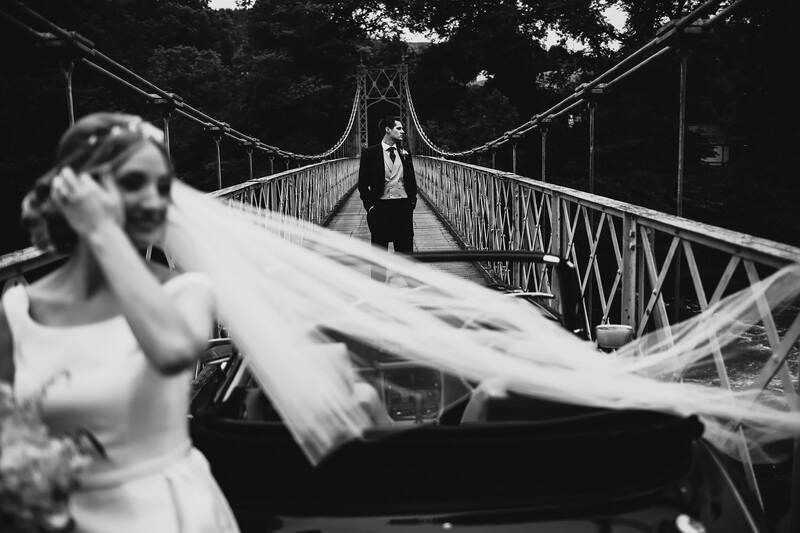 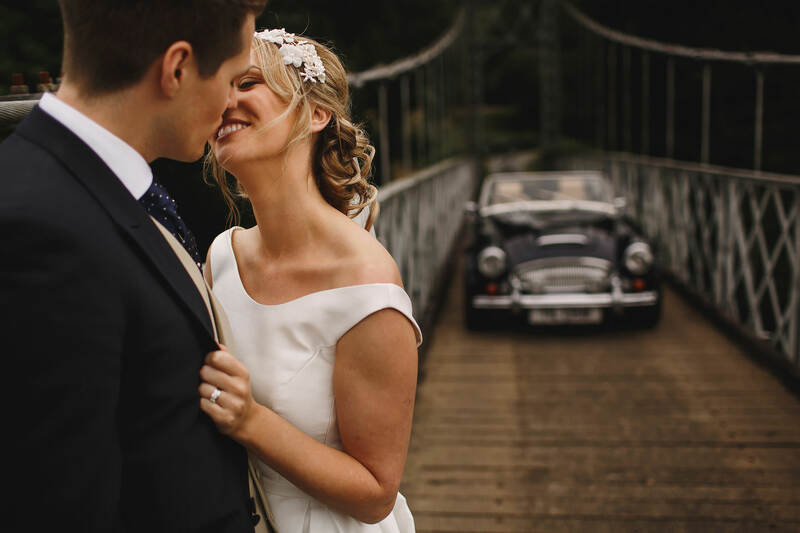 We stopped at a nearby suspension bridge for some portraits before they joined their guests back at Llangoed Hall for drinks, canapes and wandering through the flower gardens which Jess loves SO MUCH! 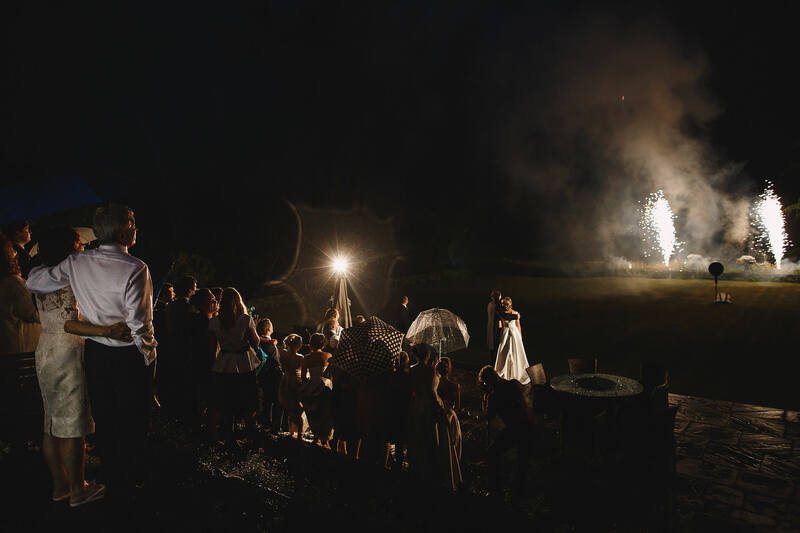 After dinner, some emotional and hilarious speeches, and some more portraits in the grounds of Llangoed Hall, Jess and Iain had their first dance and some fireworks in the garden to top off an incredible day for this amazing couple and their families – I’ve rarely experienced such close and loving families and it was really a joy to be part of Jess and Iain’s Wales wedding at Llangoed Hall… Great to work with the brilliant Ben Walton Films too! 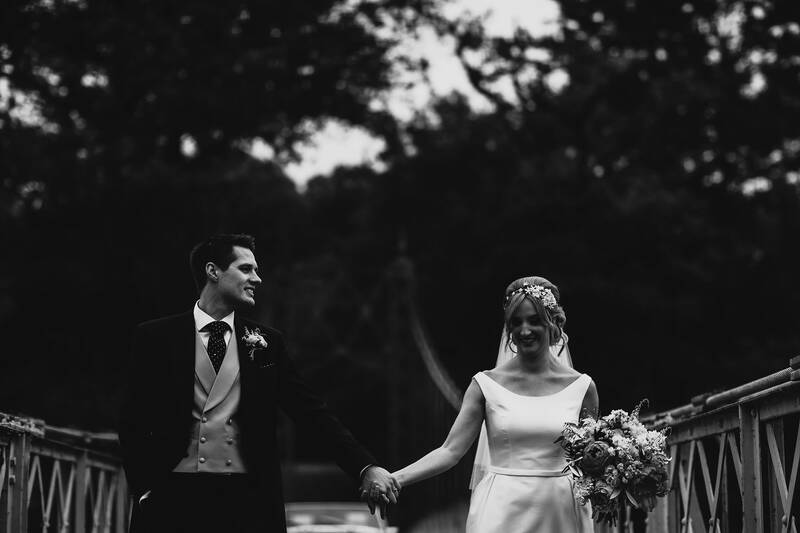 < Sarah + Ben. 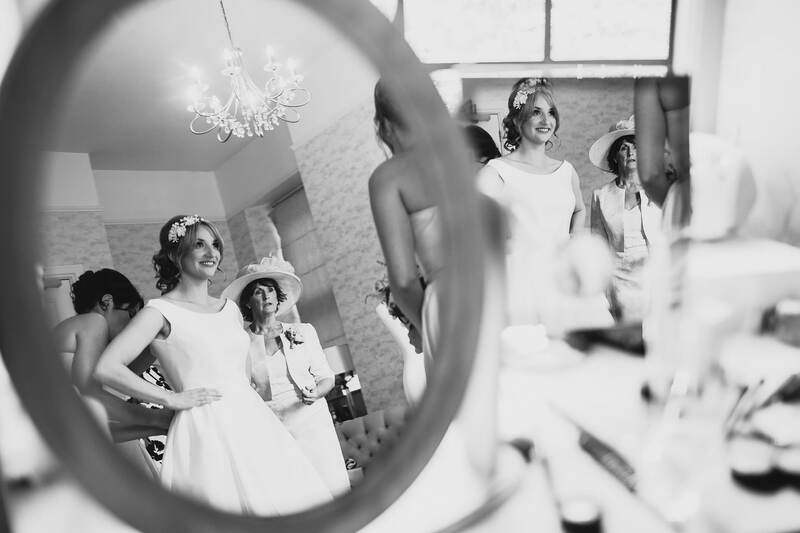 Harrogate Sun Pavilion. 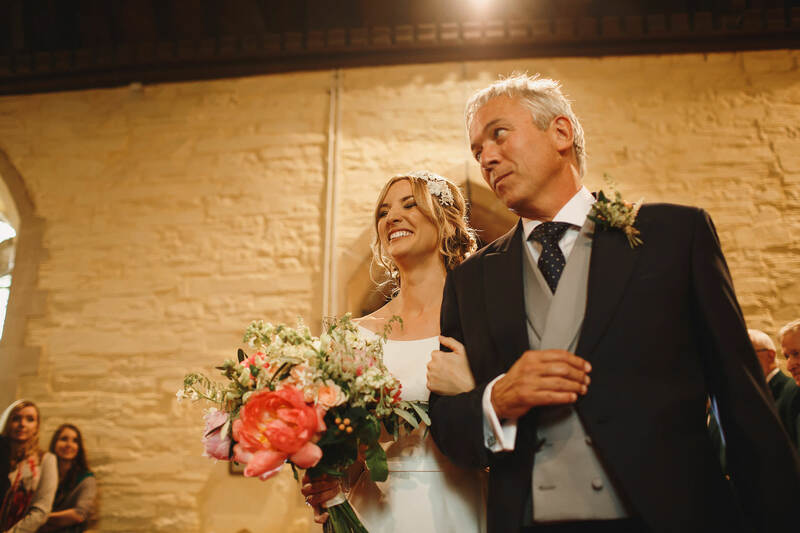 Katie + Rog. 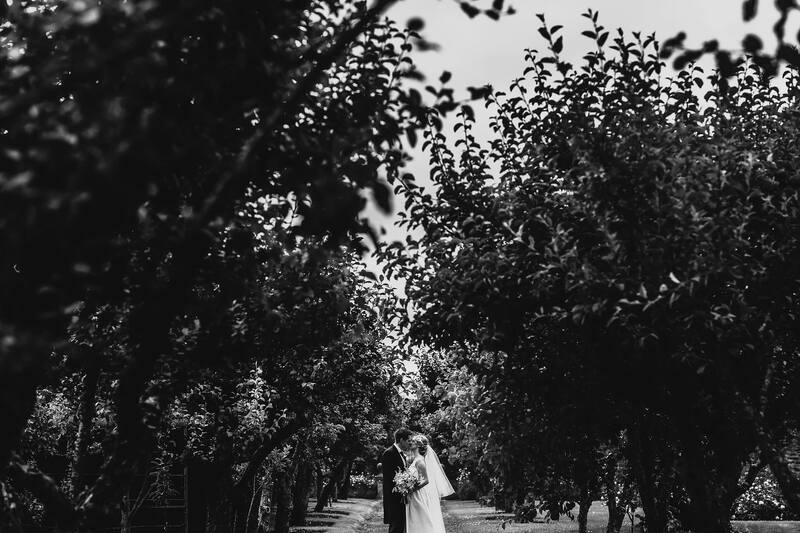 Achnagairn House Inverness.